Get Your HFF SOLAR ECLIPSE Gear Today! 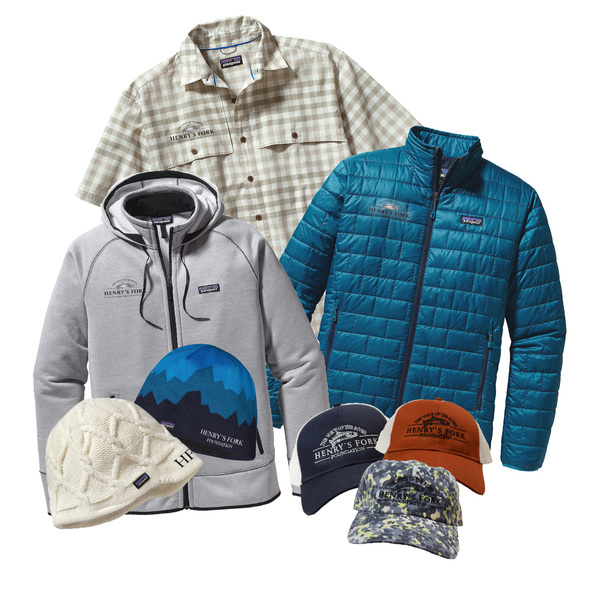 Show your support for the Foundation and look good doing it! PLUS get your HFF solar eclipse gear today! 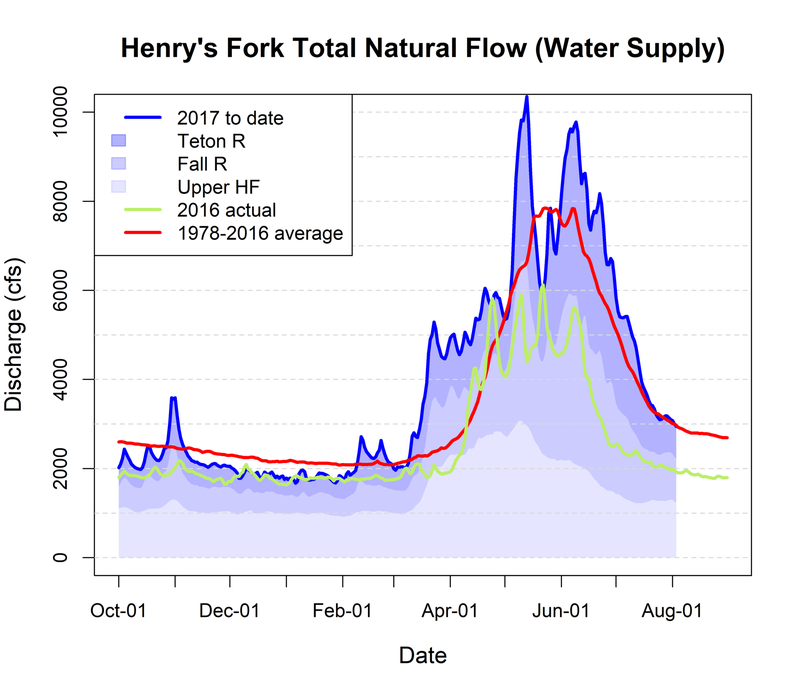 Thanks to above-average streamflow in Fall River and Teton River, water supply across the Henry’s Fork watershed remains near the long-term average as we head into late summer. As a result, Island Park Reservoir is at 89% of capacity and dropping only very slowly. The reservoir is expected to remain above 80% full throughout the rest of the irrigation season, which will lead to the best winter flows we have seen since 2011/2012. See Rob’s latest blog HERE for details. If you would like to receive Rob’s daily water-supply updates, email him at rob@henrysork.org and he will add you to the list. There have been some concerns about water temperatures being too high through the Ranch section of Harriman State Park. This blog discusses what our water quality monitoring data collected from Pinehaven (just below the Ranch reach) can tell us about current conditions in the context of trout habitat requirements and recent in-house statistical analyses. Headlines: Water temperatures through the Ranch have been on the warm side. Temperature has climbed above 71˚F for a couple of hours each day over the last week. However, daily maximum temperatures have not been deadly for rainbow trout, and only a few daily averages have been at the lowest levels that would stress fish. This is the same pattern we saw in both 2015 and 2016, when streamflows were about 800 cfs higher than current flows. Thus, releasing additional water from IP dam does not result in significantly cooler summertime water temperatures, but we do know that increasing flow out of Island Park Dam decreases water clarity and will reduce winter flows, which reduces survival of juvenile trout next winter and hence recruitment of 2-year old fish into the population in 2019. 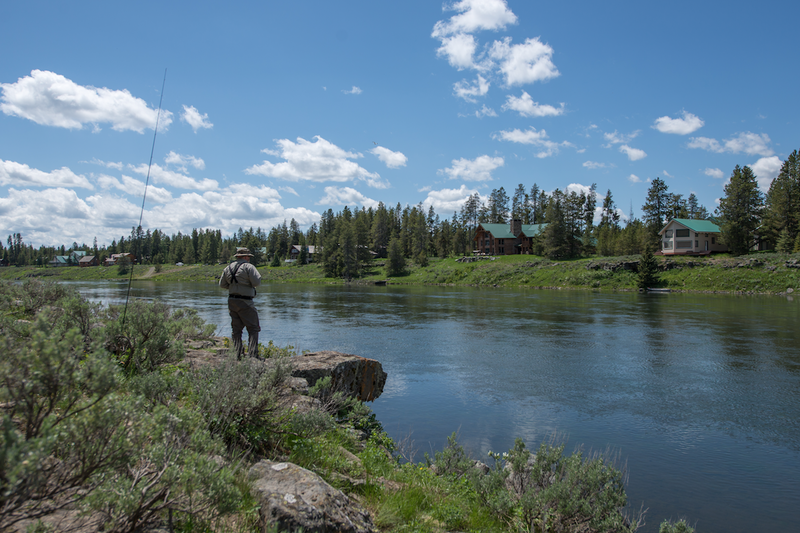 Rob Van Kirk, HFF's Senior Scientist, celebrated his 40th anniversary of fishing the Henry's Fork last month! That's 40 years of hatches. 40 years of highs and lows. 40 years of catching fish on this spectacular and challenging river. 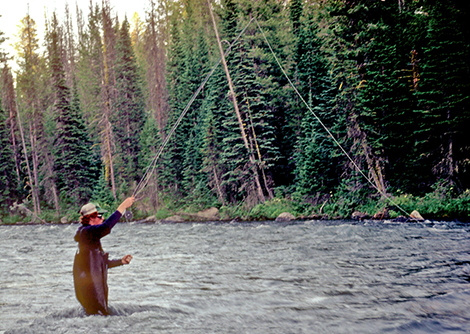 As a scientist, no one knows more about this river, and as an angler, very few love this river more than Rob Van Kirk. 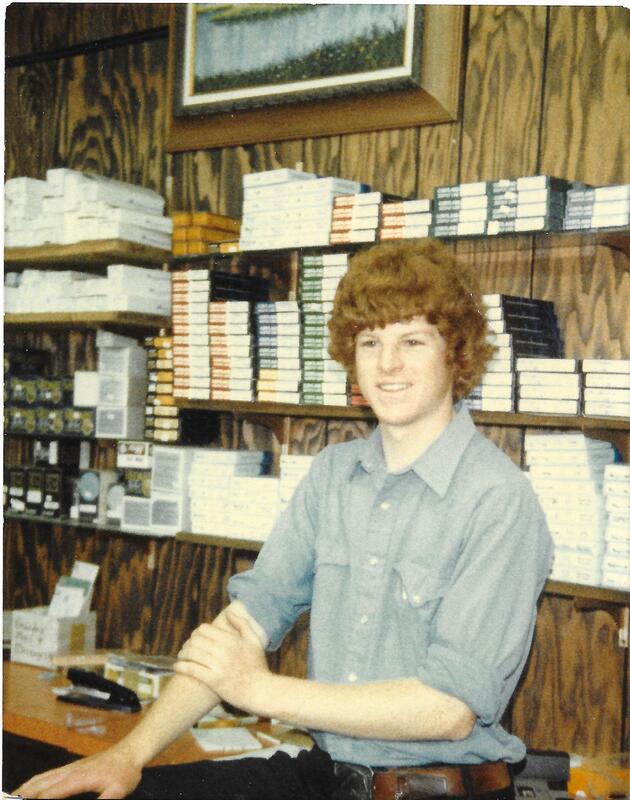 We are so grateful for everything Rob does and so glad that, 40 years ago, he fell in love with this place and has dedicated his career to protecting it.